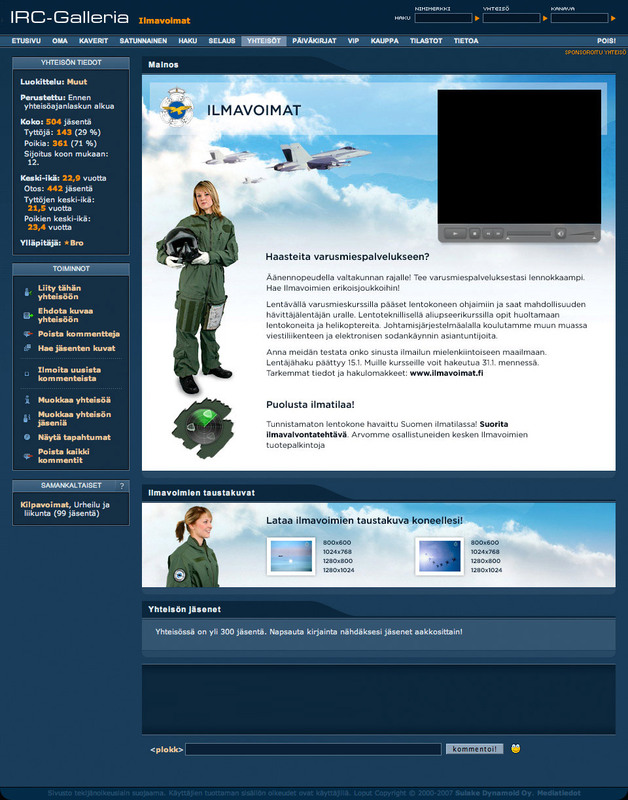 Now, the Finnish Air Force has been quite active a marketer in the past. Viral marketing – or using the so called new media (web 2.0?). Anyway, reason for this posting can yet again be found from Facebook. As you can (might?) see to right, there’s a targeted Facebook ad from the so called “New Facebook” – or Facebook after the recent facelift. What is it then? I thought, at first, that FAF advertises now at Facebook. Curious as I am, clicked the link. No, they’re not advertising at Facebook – or at least this is not FAF’s ad. It’s an ad for application, a game at FB. Pretty good ad, in my opinion. Now, if I worked at FAF atm, I’d do pretty much the same thing as the application developers did. I’d set up a page at FB and buy some targeted ads. Target group: all members of the Finland-network between, let’s say, 18-29. Both men and women. Replace the plane pictured with a classy pic of Hornet flying high and there we (would) go!. Well, as I don’t work at FAF, I don’t do any of these things. Some company apparently needs skilled professionals, as you can see on the right. So, should I find my position? This targeted ad at Facebook tells all the ICT-professionals (Information & Communication Technology) to find their positions at the field. Surprisingly this ad is perhaps the most relevant Facebook ad to me I’ve seen. I think I won’t act on it, though.